We would like to invite all the participants from all over the world to attend '20th International Conference on Advanced Energy Materials and Research' during August 13-14, 2018 in Dublin, Ireland, which aims to bring together leading academic scientists, researchers and research scholars to exchange and share their experiences and research results on all aspects of Advanced Energy Materials, Solar Energy, Hydrogen Energy and Fuel Cell Technology with the Theme: Exploring the Challenges and opportunities in the Emerging Market of Energy materials. 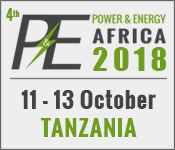 Energy Materials 2018 has become a premier event to connect professionals, scientists, academics, and students in the energy industry and provides a premier interdisciplinary platform to present and discuss the most recent innovations, trends, and concerns as well as practical challenges encountered and solutions adopted in the fields of Energy Materials and Research. Conference Series llc LTD organizes 3000+ Global Events with over 1000+ Conferences, 1000+ Symposiums and 1000+ Workshops in USA, Europe & Asia with support from 1000 more scientific societies and publishes 700+ Open access journals which contain over 100000 eminent personalities, reputed scientists as editorial board members. Join us for two intensive and interesting days of discussion on contemporary Materials research. We invite you to contribute and help to shape the Advanced Energy Materials Conference through submission of your research abstracts, papers, and e-posters. Materials are the basis for the functionality of the built environment that triggers the development of new products and technologies. Material science is an interdisciplinary field involves the discovery and design of new materials in the areas of science and technology by integrating the elements of physics, chemistry, and engineering. The arena has extended to comprise every class of materials that embraces metals, ceramics, polymers, semiconductors, biomaterials, medical implants, and nanomaterial. Energy materials within the past meant high energy explosive materials utilized in detonation and alternative energy storage applications. Such energy cannot be regulated for extended period. Currently energy materials embody wide selection of advanced and novel materials for the generation and storage of electric power. Energy generation, management and distribution are the quickest evolving industries of recent times. The demand to develop parts and sub-assemblies for novel product across the energy sector is increasing. Analysis in Production of electricity from piezoelectric materials, Biomass, photo chemistry is studied widely in several universities. 15th Annual Congress on Materials Research and Technology February 20-201, 2018 Paris, France; 3rd Annual Conference and Expo on Biomaterials March 05-06, 2018 Berlin, Germany; 19th World Congress on Materials Science and Engineering, June 11-13, 2018 Barcelona, Spain; 6th International Conference on Smart Materials & Structures April 16-17,2018 Las Vegas, USA; 2nd International on Energy Materials Conferences August 27-28, 2018 Boston, USA; 2nd International Conference on Diamond and Carbon Materials May 25-26, 2018 New York, USA; 3rd International Conference on Materials Science and Technology March 29-01 April,2018 Chengdu, Canada; 20th International Conference on Materials Science, Engineering and Manufacturing May3-4,2018 Rome, Italy; 20th International Conference on Materials Science and Engineering January 22-23, 2018, Dubai, UAE; 6th International Conference on Metal-Organic Frameworks December 9-13,2018, Auckland, New Zealand ; 3rd Molecules and Materials for Artificial Photosynthesis Conference March 02-05,2018, Cancun, UK; 2nd International Conference on Energy Materials and Fuel Cell Research August 27-28, 2018 Boston, USA. Hydrogen can be utilized in fuel cells to produce power by a chemical reaction instead of combustion, generating only water and heat as by-products. It can be used in cars, in houses, for mobile power, and in many more applications. Hydrogen can be produced using various, domestic resources—including fossil fuels, such as natural gas and coal (with carbon sequestration); nuclear energy; and other renewable energy sources, such as biomass, wind, solar, geothermal, and hydroelectric power—using a wide range of processes. The overall challenge to hydrogen generation is cost. For cost-competitive transportation, a key driver for energy independence, hydrogen must be comparable to conventional fuels and technologies. 15th Annual Congress on Materials Research and Technology February 20-201, 2018 Paris, France; 3rd Annual Conference and Expo on Biomaterials March 05-06, 2018 Berlin, Germany; 19th World Congress on Materials Science and Engineering, June 11-13, 2018 Barcelona, Spain; 6th International Conference on Smart Materials & Structures April 16-17,2018 Las Vegas, USA; 2nd International Conference on Diamond and Carbon Materials May 25-26, 2018 New York, USA; 3rd International Conference on Materials Science and Technology March 29-01 April,2018 Chengdu, Canada ; 2nd International on Energy Materials Conferences August 27-28, 2018 Boston, USA; 20th International Conference on Materials Science, Engineering and Manufacturing May3-4,2018 Rome, Italy; 20th International Conference on Materials Science and Engineering January 22-23, 2018, Dubai, UAE; 6th International Conference on Metal-Organic Frameworks December 9-13,2018, Auckland, New Zealand ; 3rd Molecules and Materials for Artificial Photosynthesis Conference March 02-05,2018, Cancun, UK; 2nd International Conference on Energy Materials and Fuel Cell Research August 27-28, 2018 Boston, USA. 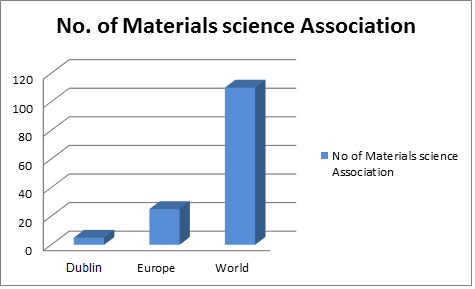 Asia-Pacific: Materials Research Society of Singapore, Japan Society for Composite Materials, International Association of Advanced Materials, The Association of East Asian Research Universities, Australian Composite Structures Society, Chinese Society for Composite Materials, Chinese Society for Metals. Comparatively recent shift towards exploitation Nanotechnology with regard to the capture, transfer, and storage of energy has positive economic impacts on society. The management of materials that Nano technology offers to scientists and engineers is one amongst the vital aspects of Nanotechnology. Nanotechnology in energy materials is exhibiting raised potency of lighting and heating, increased electrical storage capability, and a decrease in the quantity of pollution from the utilization of energy. Advantages like these build the investment of capital in R&D of Nanotechnology a prime priority. 23rd International Conference on Nanomaterials and Nanotechnology March 15-16, 2018 London, UK, 24th World Nano Conference May 07-08, 2018, Rome, Italy, May 2-3, 2018,World Summit on Nanoscience & Nano engineering May 02-03, 2018 HAWAII, USA, 24th World Congress on Nano materials and Nanotechnology, September 06-07, 2018 , Beijing, China, 3rd International Nanotechnology Conference & Expo May 07-09,2018, Rome, Italy, 2nd International on Energy Materials Conferences August 27-28, 2018 Boston, USA; 6th World Congress and Expo on Nanotechnology and Material Science April 16-18, 2018, Valencia, Spain, International Nanotechnology conference and Exhibition February 14-16, 2018,Tokyo, Japan, International Conference on Nanoscience and Nanotechnology January 29 – February 02, New South Wales, Australia 2018, 20th International Conference on Nanoscience, Nanotechnology and Advanced Materials August 13-14,2018 Venice, Italy; 2nd International Conference on Energy Materials and Fuel Cell Research August 27-28, 2018 Boston, USA. 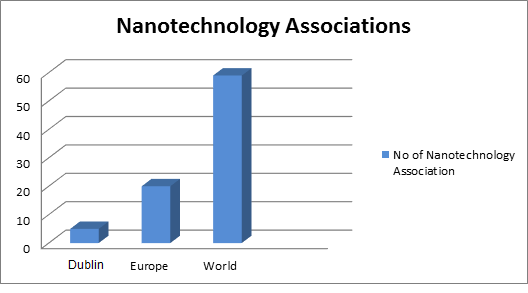 Asia Pacific: Asian Nanoscience and Nanotechnology Association, International Association of Nanotechnology, Asian Society for Precision Engineering and Nanotechnology, National Nanotechnology center, Global Nanotechnology Network. Growing energy requirements need augmented efforts on developing materials and technologies that target energy generation, energy conversion and energy storage. For instance, recently the International solar alliance, consisting of over 120 countries, has been committed $1 trillion as investment and it's committed to reduce the prices of solar energy for remote and inaccessible communities. The World Bank is playing a significant role in mobilizing over US $1000 billion in investments which will be required by 2030. In 2013 thin-film technologies accounted for around 9 % of worldwide utilization, whereas 91 % by crystalline Si (mono-Si and multi-Si). With 5% of the general market, CdTe holds over half the thin-film market, 2 % of CIGS and amorphous Si. As per a study, prepared by the International Renewable Energy Agency (IRENA), recent solar modules are valued at $15 billion in the reusable material by the year 2050. IRENA estimates that PV panel waste, comprised largely of glass, might total 78 million tonnes globally. 7th International Conference on Smart Materials and Structures, July 2-3,2018 Vienna, Austria; 6th International Conference on Smart Materials & Structures, April 16-17,2018 Las Vegas ,USA; 5th World Congress on Smart and Emerging Materials, March 19-20, Bali, Indonesia; 15th Annual Congress on Materials Research and Technology, February 20-201, 2018 Paris, France; 2nd International on Energy Materials Conferences August 27-28, 2018 Boston, USA; 3rd Annual Conference and Expo on Biomaterials, March 05-06, 2018 Berlin, BIT's 4th Annual World Congress of Smart Materials March 6-8,2018 Osaka, Japan; 20th International Conference on Smart Materials Engineering and Technology, January 25-26,2018 Paris, France, 3rd International Conference on Material Engineering and Smart Materials, August 11-13, 2018 Okinawa, Japan, International Conference on Smart Engineering Materials, March 07-09, 2018, Bucharest, Romania, International Conference on Smart Materials Analysis, January 26-28, 2018, Singapore; 2nd International Conference on Energy Materials and Fuel Cell Research August 27-28, 2018 Boston, USA. Graphene has unique mechanical, electrical and magnetic properties. The worldwide market for graphene reached $9 million by 2012 in the sectors of semiconductor materials, electronic devices, battery technologies, and composite materials. Graphene is synthesized in sheet, Nano ribbons, quantum dots, oxides, and 3D forms. The market of graphene includes revolutionary display systems and touch screens. 15th Annual Congress on Materials Research and Technology February 20-201, 2018 Paris, France; 3rd Annual Conference and Expo on Biomaterials March 05-06, 2018 Berlin, Germany; 19th World Congress on Materials Science and Engineering, June 11-13, 2018 Barcelona, Spain; 2nd International on Energy Materials Conferences August 27-28, 2018 Boston, USA; 6th International Conference on Smart Materials & Structures April 16-17,2018 Las Vegas, USA; 2nd International Conference on Diamond and Carbon Materials May 25-26, 2018 New York, USA; 3rd International Conference on Materials Science and Technology March 29-01 April,2018 Chengdu, Canada ; 20th International Conference on Materials Science, Engineering and Manufacturing May 3-4,2018 Rome, Italy; 20th International Conference on Materials Science and Engineering January 22-23, 2018, Dubai, UAE; 6th International Conference on Metal-Organic Frameworks December 9-13,2018, Auckland, New Zealand ; 3rd Molecules and Materials for Artificial Photosynthesis Conference March 02-05,2018, Cancun, UK; 2nd International Conference on Energy Materials and Fuel Cell Research August 27-28, 2018 Boston, USA. Nanostructuring has been utilized to improve the efficiencies of established photovoltaic technologies, for instance by rising current collection in amorphous Si devices, plasmonic improvising in dye-sensitized solar cells, and improved lightweight trapping in crystalline Si. 23rd International Conference on Nanomaterials and Nanotechnology March 15-16, 2018 London, UK, 24th World Nano Conference May 07-08, 2018, Rome, Italy, May 2-3, 2018,World Summit on Nanoscience & Nano engineering May 02-03, 2018 HAWAII, USA, 2nd International on Energy Materials Conferences August 27-28, 2018 Boston, USA; 24th World Congress on Nano materials and Nanotechnology, September 06-07, 2018 , Beijing, China, 3rd International Nanotechnology Conference & Expo May 07-09,2018, Rome, Italy, 6th World Congress and Expo on Nanotechnology and Material Science April 16-18, 2018, Valencia, Spain, International Nanotechnology conference and Exhibition February 14-16, 2018,Tokyo, Japan, International Conference on Nanoscience and Nanotechnology January 29 – February 02, New South Wales, Australia 2018, 20th International Conference on Nanoscience, Nanotechnology and Advanced Materials August 13-14,2018 Venice, Italy; 2nd International Conference on Energy Materials and Fuel Cell Research August 27-28, 2018 Boston, USA. 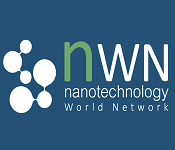 Asia Pacific: Asian Nano science and Nanotechnology Association, International association of Nanotechnology, Asian Society for Precision Engineering and Nanotechnology, National Nanotechnology centre, Global Nanotechnology Network. Energy harvesting is the process by which energy is derived from external sources, captured, and stored for small, wireless autonomous devices, like those used in wearable electronics and wireless sensor networks. Energy harvesters provide a very small amount of power for low-energy electronics. While the input fuel to some large-scale generation costs resources, the energy source for energy harvesters is present as ambient background. For example, temperature gradients exist from the operation of a combustion engine and in urban areas; there is a large amount of electromagnetic energy in the environment because of radio and television broadcasting. 15th Annual Congress on Materials Research and Technology February 20-201, 2018 Paris, France; 3rd Annual Conference and Expo on Biomaterials March 05-06, 2018 Berlin, Germany; 19th World Congress on Materials Science and Engineering, June 11-13, 2018 Barcelona, Spain; 6th International Conference on Smart Materials & Structures April 16-17,2018 Las Vegas, USA; 2nd International Conference on Diamond and Carbon Materials May 25-26, 2018 New York, USA; 3rd International Conference on Materials Science and Technology March 29-01 April,2018 Chengdu, Canada ; 2nd International on Energy Materials Conferences August 27-28, 2018 Boston, USA; 20th International Conference on Materials Science, Engineering and Manufacturing May 3-4,2018 Rome, Italy; 20th International Conference on Materials Science and Engineering January 22-23, 2018, Dubai, UAE; 6th International Conference on Metal-Organic Frameworks December 9-13,2018, Auckland, New Zealand ; 3rd Molecules and Materials for Artificial Photosynthesis Conference March 02-05,2018, Cancun, UK; 2nd International Conference on Energy Materials and Fuel Cell Research August 27-28, 2018 Boston, USA. Polymers are studied in the fields of polymer science (chemistry and physics) biosciences and engineering science. Advanced polymers are used in many different applications in the field of energy such as lithium-ion polymer battery (LiPo), Crystallization of polymers, electroactive polymers, polymeric surface, cationic & plasma polymerization, polymer brush etc..
World Congress on Biopolymers and Polymer Chemistry, May 28-30, 2018 Osaka, Japan; 4th International Conference and Expo on Ceramics and Composite Materials, May 14-15 ,2018, Rome, Italy; 4th European Organic Chemistry Congress March 01-03, 2018, London, UK, 15th Annual Congress on Materials Research and Technology, February 20-21, 2018 Paris, France; 3rd Annual Conference and Expo on Biomaterials, March 05-06, 2018 Berlin, Germany; World Polymer Congress July 1-5, 2018, Cairns, Australia; The 9th Conference on Times of Polymers (TOP) & Composites, June 17-21, 2018 ,Ischia, Italy; 2nd International on Energy Materials Conferences August 27-28, 2018 Boston, USA; 20th International Conference on Polymers and Organic Chemistry, March 15-16, 2018, Paris, France; The 4th International Conference on Polymer Materials Science, January 13-15, 2018 Sanya, China ; 3rd Edition of International Conference and Exhibition on Polymer Chemistry March 26-28,2018,Vienna, Austria; 2nd International Conference on Energy Materials and Fuel Cell Research August 27-28, 2018 Boston, USA. Europe- The Polymer Society UK, Telford Polymer Association, European Polymer Dispersion and Latex Association, Polish Chemical Society, British Plastic Association. 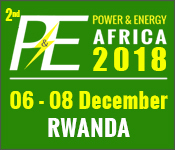 The formation, fabrication, textures, structures, properties, performances, and technological applications of materials and their devices for energy storage like Thermal, electrochemical, Chemical, Electrical, magnetic, and energy Storage form the theme of this venue. 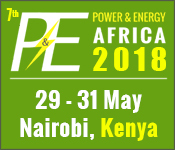 Materials for clean and versatile use of energy, renewable energy, energy conversion, dissipation and transport in respect to energy storage, methods and policies for developing advanced energy storage technologies are in demand. According to research firm IHS, the energy storage market is about to “explode” to annual installation size of 6GW in 2017 and over 40 GW by 2022 — from an initial base of solely 0.34 GW installed in in 2012 and 2013. For instance, the California Public Utilities Commission (CPUC) approved a target requiring the state’s 3 largest investor-owned utilities, aggregators, and alternative energy service suppliers to generate 1.3 GW of energy storage by 2020. 15th Annual Congress on Materials Research and Technology February 20-201, 2018 Paris, France; 3rd Annual Conference and Expo on Biomaterials March 05-06, 2018 Berlin, Germany; 19th World Congress on Materials Science and Engineering, June 11-13, 2018 Barcelona, Spain; 6th International Conference on Smart Materials & Structures April 16-17,2018 Las Vegas, USA; 2nd International Conference on Diamond and Carbon Materials May 25-26, 2018 New York, USA; 3rd International Conference on Materials Science and Technology March 29-01 April,2018 Chengdu, Canada ; 20th International Conference on Materials Science, Engineering and Manufacturing May3-4,2018 Rome, Italy; 20th International Conference on Materials Science and Engineering January 22-23, 2018, Dubai, UAE; 6th International Conference on Metal-Organic Frameworks December 9-13,2018, Auckland, New Zealand ; 3rd Molecules and Materials for Artificial Photosynthesis Conference March 02-05,2018, Cancun, UK; 2nd International Conference on Energy Materials and Fuel Cell Research August 27-28, 2018 Boston, USA. Asia-Pacific: Chinese Society for Composite Materials, International Association of Advanced Materials, Materials Research Society of Singapore, The Association of East Asian Research Universities, Australian Composite Structures Society, Japan Society for Composite Materials, Chinese Society for Metals. Material science plays a significant role in metallurgy. Powder metallurgy is a term that covers varied methodologies in which materials or components are made from metal powders. The metal removal processes can be avoided to decrease the costs. Pyrometallurgy embraces thermal treatment of minerals and metallurgical ores and concentrates to bring about physical and chemical transformations in the materials to allow retrieval of valued metals. A broad data of metallurgy can support us to extract the metal in a possible manner. The extraction of valuable minerals or other geological materials from the earth is called as Mining and Metallurgy is the field of Materials Science that deals with physical and chemical nature of the metallic & intermetallic compounds and alloys. Diverse methods and skills used in the extraction and production of various metals are the extraction of metals from ores, purification; Metal casting Technology, plating, spraying, etc. in the series of processes, the metal is subjected to thermogenic and cryogenic conditions to analyses the corrosion, strength & toughness of the metal. 15th Annual Congress on Materials Research and Technology February 20-201, 2018 Paris, France; 3rd Annual Conference and Expo on Biomaterials March 05-06, 2018 Berlin, Germany; 19th World Congress on Materials Science and Engineering, June 11-13, 2018 Barcelona, Spain; 6th International Conference on Smart Materials & Structures April 16-17,2018 Las Vegas, USA; 2nd International on Energy Materials Conferences August 27-28, 2018 Boston, USA; 2nd International Conference on Diamond and Carbon Materials May 25-26, 2018 New York, USA; 3rd International Conference on Materials Science and Technology March 29-01 April,2018 Chengdu, Canada ; 20th International Conference on Materials Science, Engineering and Manufacturing May3-4,2018 Rome, Italy; 20th International Conference on Materials Science and Engineering January 22-23, 2018, Dubai, UAE; 6th International Conference on Metal-Organic Frameworks December 9-13,2018, Auckland, New Zealand ; 3rd Molecules and Materials for Artificial Photosynthesis Conference March 02-05,2018, Cancun, UK; 2nd International Conference on Energy Materials and Fuel Cell Research August 27-28, 2018 Boston, USA. Europe: European Association of Mining Industries, Austrian Society for Metallurgy and Materials, Danish Metallurgical Society, Italian Association of Mechanics, Association of European Producers of Steel for Packaging. Materials make up the current world around us, from the concrete in buildings and bridges to the advanced carbon fibers and ceramics in high-performance cars and even to the nanoparticles in self-cleaning bricks. Materials research is altering based on the design, build and new products. The practice of materials in industrial sector includes areas of mining, transport, chemical, oil and gas, pharmaceutical, aeronautical, food and medical. The current and future needs of human can be satisfied by industries in achieving the desired purpose on goods. The main materials produced by industries are metals, inorganic nonmetals and plastics. 15th Annual Congress on Materials Research and Technology February 20-201, 2018 Paris, France; 3rd Annual Conference and Expo on Biomaterials March 05-06, 2018 Berlin, Germany; 19th World Congress on Materials Science and Engineering, June 11-13, 2018 Barcelona, Spain; 6th International Conference on Smart Materials & Structures April 16-17,2018 Las Vegas, USA; 2nd International Conference on Diamond and Carbon Materials May 25-26, 2018 New York, USA; 2nd International on Energy Materials Conferences August 27-28, 2018 Boston, USA; 3rd International Conference on Materials Science and Technology March 29-01 April,2018 Chengdu, Canada ; 20th International Conference on Materials Science, Engineering and Manufacturing May3-4,2018 Rome, Italy; 20th International Conference on Materials Science and Engineering January 22-23, 2018, Dubai, UAE; 6th International Conference on Metal-Organic Frameworks December 9-13,2018, Auckland, New Zealand ; 3rd Molecules and Materials for Artificial Photosynthesis Conference March 02-05,2018, Cancun, UK; 2nd International Conference on Energy Materials and Fuel Cell Research August 27-28, 2018 Boston, USA. The 20th International Conference on Advanced Energy Materials and Research is the platform to gain or share the knowledge in the new technological developments in the field of science, engineering, and technology. This conference brings together professors, researchers, scientists, students in all the areas of material science, engineering and nanotechnology and offers an international forum for the spreading of approved research. We are honored to invite you all to attend and register for the “20th International Conference on Advanced Energy Materials and Research (Advanced Energy Materials 2018)” which is scheduled for August 13-14, 2018 in Dublin, Ireland. The organizing committee is arranging for an exciting and enlightening conference program that includes plenary lectures, symposia, workshops on a variety of topics, poster presentations and various programs for participants from all over the world. We invite you to join us at20th International Conference on Advanced Energy Materials and Research, where you will be sure of having an eloquent experience with scholars from around the world. All members of the Advanced Energy Materials 2018 organizing committee look forward to meeting you in Dublin, Ireland. The Material research encompasses the fundamental studies of materials structure-property relationships for the current and future importance in the field of science and engineering. 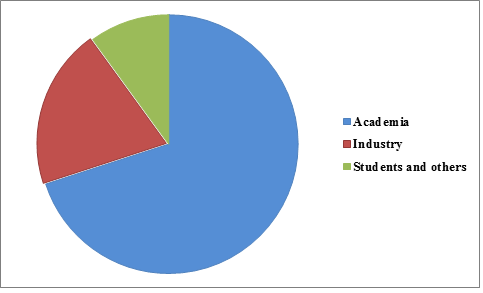 The growth of materials in the industrial application was enhanced by the establishment of academic programs and research institutes around the globe. The National Nanotechnology Initiative (NNI) was established primarily since Nanoscience and technology are predicted to have an enormous potential economic impact. It is strongly believed that combined impact of industrial and information technology may approach the magnitude of change that could result from commercialization of material nanotechnology. The emphasis on the processing of new materials facilitates its applications to the next generation of engineers and its high marketability has a great impact on the economy. In the new decade, the sustainability and influence on the environment lie in the core of the material development. Dublin is capital of Ireland. It is also the largest city in Ireland. Dublin is in Leinster on Ireland's east coast, at the mouth of the River Liffey. The city has some urban area population of approx.1,345,402. The population of the Greater area of Dublin, as of 2016, was 1,904,806 people. It was founded as a Viking settlement, the Kingdom of Dublin was Ireland's principal city following the Norman invasion. Dublin expanded from the 17th century and was the second largest city in the British Empire in 1800. Following the partition of Ireland in 1922, Dublin became the capital of the Irish Free State. Later it was renamed Ireland. Dublin is administered by a City Council. The city is listed by the World Cities Research Network (GaWC) as the global city, with a ranking of Alpha, putting it among the top thirty cities in the world. It is a contemporary center for education, the arts, administration, economy, and industry. There are forty-five colleges and universities in the Ireland state of Dublin. These institutions include four research university, sixteen master's universities, and sixteen baccalaureate colleges, as well as seven associate's colleges. In addition, there are four institutions classified as special-focus institutions. Advanced Energy Materials 2018 provides a striking opportunity to meet and make new contacts that link us with delegates who are active in the field of material science, engineering, and nanotechnology. It offers comprehensive sessions on recent strategies and advances in the development of new materials. Networking enables sharpening skills, spark inspiration and uncover new ideas during break-out sessions providing tea and lunch for the delegates. The important subjects are addressed by the expertise keynote speakers with global recognition thus conferring knowledge on the new technologies and latest drift in the domain. The 20th International Conference on Advanced Energy Materials and Research accents the prominent keynote speakers, plenary speeches, young research forum, poster presentations, technical workshops and career guidance sessions. The global core materials market for composites is expected to raise from USD 1.17 Billion in 2016 to USD 1.92 Billion by 2022, at a CAGR of 8.77% from 2017 to 2022. The usage of core materials is becoming vital in wind energy, aerospace, marine, transportation, construction and other industries. The leading manufacturers of core materials are Evonik Industries AG (Germany), Armacell International S.A (Luxembourg), Plascore Incorporated (U.S.), Euro-Composites S.A (Luxembourg), Diab Group (Sweden), 3A Composites (Switzerland), Gurit Holding AG (Switzerland), Hexcel Corporation (U.S), and The Gill Corporation (U.S.). These manufacturers implemented several organic and inorganic developmental approaches. The metamaterial market is projected to be valued at USD 4,634.8 Million by 2025, at a CAGR of 63.1% from 2017 to 2025. 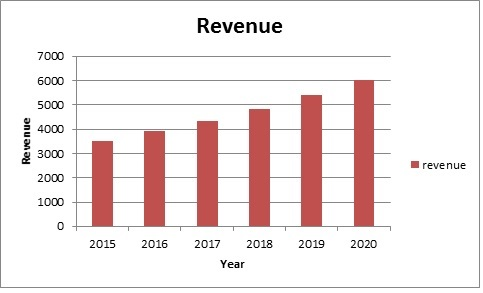 The increasing concern for variety in design functionalities, anti-glare coating applications, and invisibility cloak for stealth aircraft are the important aspects to drive the growth of metamaterial market. 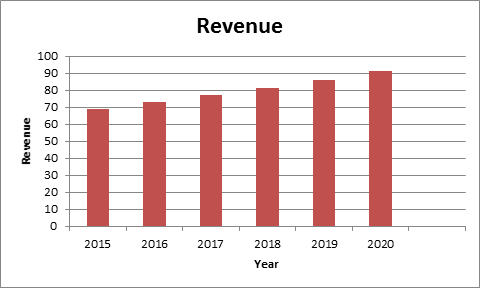 The LED materials market is expected to reach USD 12.55 Billion by 2021, at a CAGR of 9.9% between 2016 and 2021. The rising demand of LEDs in general and automotive lighting drives the LED materials market. The base year for the study is 2015, whereas the estimated period is from 2016 to 2021. The locomotive lightweight material market is likely to grow at a CAGR of 13.06% between 2016 and 2021 and achieve a market size of USD 110.42 Billion by 2021. The significant drivers of the market are the rigorous emission and fuel economy regulations, coupled with the targets on weight reduction, by the regulatory authorities and the rise in sales of electric vehicles in the emerging countries. The advanced materials & technologies in electronics denotes the new or modification to the current materials & technologies to attain superior performance or efficiency. The market for the topmost advanced materials & technologies in electronics is observing high growth due to the rising end-use applications, technological advances, and the high demand of these technologies from both the industrialized and developing regions. The soft magnetic materials market is expected to achieve USD 42.14 Billion globally in 2026, at a CAGR of 8.1%, between 2016 and 2026. Soft magnetic materials offer good permeability and help in the decrease of eddy current losses. Companies are capitalizing in R&D for the growth and building of high quality soft magnetic materials. The increasing automotive end-user industry is one of the foremost drivers for the soft magnetic materials market. The soft magnetic materials are tremendously useful in several applications such as motors, transformers, and alternators. The global 3D printing materials market is predictable to raise from USD 530.1 Million in 2016 to USD 1,409.5 Million by 2021, at a CAGR of 21.60% throughout the same period. The high progress of the market is owing to the adoption of 3D printing technology in Germany, U.S., and developing countries. The rising aerospace & defense, medical & dental, and automotive industries in these countries are driving the 3D printing materials market. The electric vehicle plastics market is likely to raise at a CAGR of 27.82% from 2016 to 2021, to reach a market size of USD 1.49 Billion by 2021. Main drivers of this market include the favorable government policies, that leads to the advancement in the sales of electric vehicles, stringent emission regulations, demand for light weighting to achieve fuel efficiency, and the demand to improve ergonomics.